Discussion in 'the Art of Noise' started by ChrissyM, Jul 18, 2007. 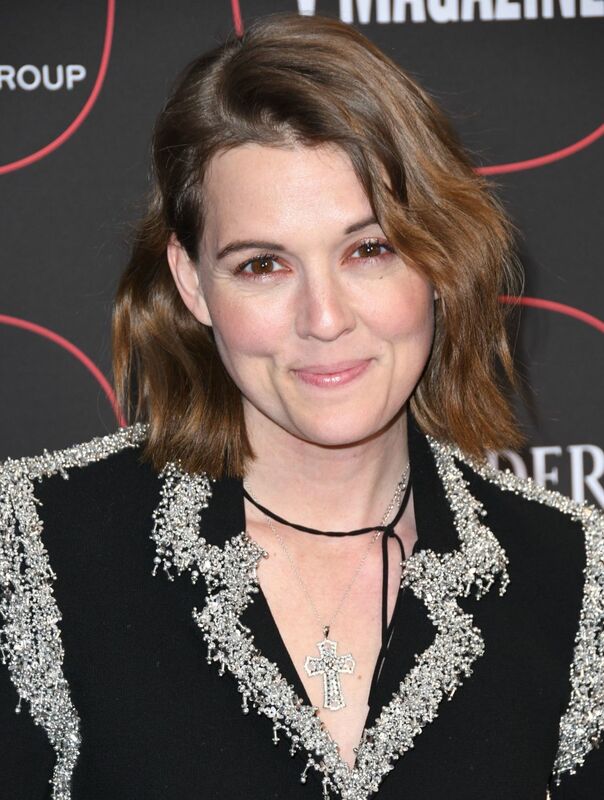 Here is a bio from her myspace, which also contains info about the Story, her influences and what it was like to record it..
On her new album, The Story, Brandi Carlile opens up her heart, soul, and psyche in a series of memorable songs that invite you into her world. To her growing community of fans, it's Carlile's revelatory imagery, stark emotive vocals and finely-detailed songs which provide the keys to who she is, where she's been, and where's she's going. Shortly after the release of her critically-acclaimed self-titled Red Ink debut (Rolling Stone named her one of the magazine's "10 Artists To Watch in 2005") -- Carlile left her home in Seattle and set out with twin brothers Tim (guitar) and Phil (bass) Hanseroth, with whom she'd worked on her earliest recordings and independent regional tours. The tightly knit trio, which forms the core of her band today, spent the better part of two years on the road. 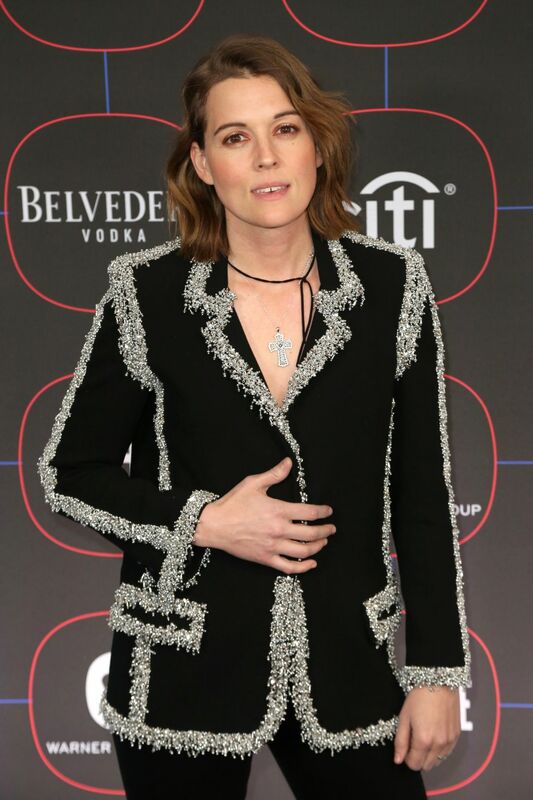 By the end of 2006, Brandi Carlile had embarked on several headlining tours and supported a variety of artists including Ray LaMontagne, The Fray, Chris Isaak, Tori Amos, and Shawn Colvin. The sound and songs of The Story first formed during the rigors of touring as Brandi began working the new songs into the band's repertoire, road-testing and refining the material under the spotlights, giving each performance its own character. The intensity and authenticity of her music brought her to the attention of the Grammy Award-winning producer T Bone Burnett (Counting Crows, Roy Orbison) who came on-board to produce The Story. By the time she went into a Vancouver studio with T Bone, Brandi's new songs had become second nature. "We've been playing some of these songs for years – I wrote 'Turpentine' when I was a teenager," Carlile says. "T Bone helped us hear these songs through fresh ears and gave the whole album a great energy." The Story builds on the plaintive aching melodies, moody atmosphere and heartfelt lyrics characterizing Brandi's first album with nuanced arrangements including electric guitar ("My Song," "Losing Heart"), piano ("Wasted") and cello ("Turpentine," "Late Morning Lullaby"). Driven by Carlile's dynamic vocals, the album's 13 tracks pulse with a raw and road-worthy intensity that is much closer to her live concert sound than her self-titled debut album. "The new songs may surprise people who only know us through the first album," Brandi says. "If you've seen us play, you'll realize this is the direction we've been heading in the whole time." After recording her first album under sporadic conditions over the course of a year, Brandi decided to cut out all distractions and record The Story in a focused extended session. "This is the album I've always wanted to make," she explains. "I love Elton John because his albums captured moments in time. My favorite records have the timeless feeling you get when a band locks itself in the studio for two weeks and comes out with a record." Morrissey) and set out to capture that "timeless feeling" in a real-time 11-day session. Brandi recorded The Story live with Tim, Phil and Matt in the same room while she looked on from the vocal booth. "Being able to see each other was important because it allowed us to lock in and let things flow like we do on stage," Carlile explains. Carlile's decision to record live mainly to tape gives The Story a stark and soulful authenticity accentuating the humanity of each performance. "When you record to tape, it forces you not to dwell on small imperfections and keep a lot of the things you would usually edit out...like a weird breath or a strangely sharp note," Carlile explains. "When I listen back and hear those things now, I'm glad we didn't take them out because they give this album a real human character." The intensity of the title track comes from one of those "beautiful mistakes" that sometimes underlie hidden, subconscious intentions. "The song peaks in a way that takes everything in my voice to hit it," Carlile admits. "When I went for that note, my voice cracked and I almost stopped, but I'm glad I kept going because it turned out to be such a pure moment – technically wrong, but emotionally right." suits the song's mood perfectly." 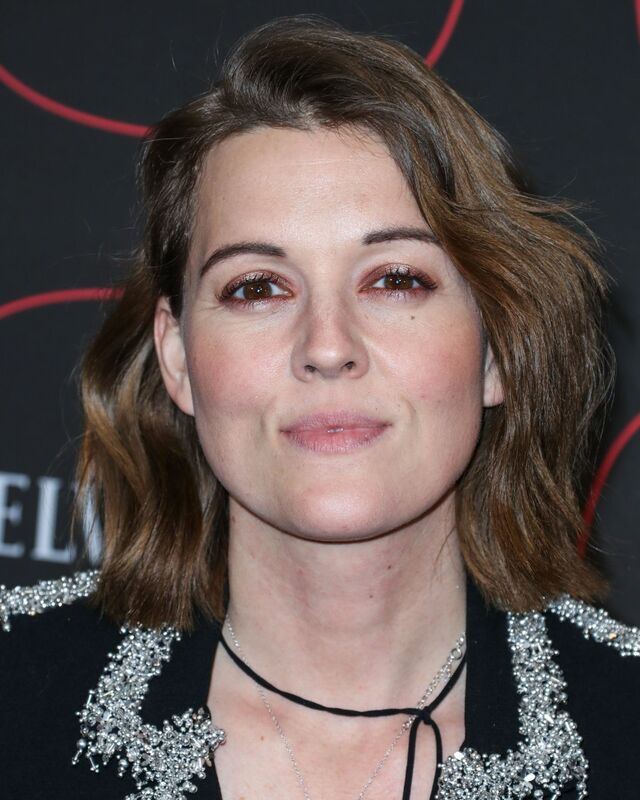 One of the album's highlights, according to Carlile, is "Cannonball," a song she recorded with in Atlanta with Amy Ray and Emily Saliers of the Indigo Girls. "I don't think I would play guitar if it weren't for the Indigo Girls," says Brandi (who made a guest appearance on the Indigo Girl's recent release Despite Our Differences). It means the world to me to have them on my record." The album's closing track, "Again Today," brings The Story to its transcendent emotional crescendo using a wall of ambient sound as a backdrop to her voice swinging confidently from bulletproof power to a vulnerable falsetto asking, "Who's gonna break my fall, when the spinning starts?" "It's a different kind of song for me, but it's still very organic" Carlile says. "We've been closing our sets with this song for such a long time now, that it just felt right ending the record this way too." Brandi's first steps toward creating The Story began years ago outside of Seattle, where, while growing up, Carlile taught herself to sing and play guitar at a young age with her family. Dedicating her life to music, Carlile became a disciplined musician playing constantly and performing whenever possible as way to learn her craft and develop her art. She expanded her sound with the addition of twin brothers, Tim and Phil Hanseroth. Columbia Records signed Carlile in late 2004 on the strength of songs she'd been recording periodically at her home. Released in 2005, Brandi Carlile, her debut showcased those early songs along with several newly recorded tracks. Reviews of the album universally heralded Carlile as an important new singer-songwriter. She hit the road opening for other artists while going on to headline her own shows. Brandi found a new wider audience when the ABC hit medical drama "Grey's Anatomy" showcased three of Brandi's songs -- "Tragedy," "What Can I Say" and "Throw It All Away" -- an unprecedented honor for a new artist. With The Story, Brandi Carlile takes you into the deepest most poetic moments of her own experiences, creating the kind of artist-audience bond that makes you feel you're living inside those moments yourself. i brandi carlile. i could listen to her all day. i started liking her after hearing throw it all away on one of the l word episodes. I absolutley love love love her music! I hope she puts out a new cd soon! i think she just put out a live album? i'm going to see her with ray lamontagne this summer... really excited! ^ Oh man, I'm so jealous! I love them both. YOu'll have to give deets after the concert. I've heard that she's even better live than on her album! will be sure to post in here after i go see her..
i actually don't know a whole lot of ray lamontagne other than "trouble"
oh my god... i came in here to post that her new album, Bear Creek is out today (about to buy it!) and I realized that I never posted again about my concert experience when she was with Ray Lamontagne! SSv: What was the inspiration for “Raise Hell?” I like that song a lot. Brandi: Aw, thanks man. [Laughs] That was mine, that was all me. I was hung over in Boston on my 30th birthday, backstage during a thunderstorm while on tour, waiting for them to tell me whether or not the show was going to happen because the thunderstorm was so intense. A bunch of people had died that day from the storm and there were tornadoes everywhere. It was just really tumultuous, dark, turbulent times, physically and mentally for me. So instead of writing this tortured, inward song, for some reason this sort of up-tempo face-off happened where I ended up in this “Devil Went Down to Georgia” situation. And I found myself just kind of trying to decide whether to stand up and look it all in the face, or just take a Xanax and go get in my bunk and go to sleep, you know? once when she played at the Life is Good festival, and again when she did a solo show, just her on stage in Boston, which was also awesome. She's such a great live performer. Her voice just fills the space and goes right through you. So psyched to start listening to this album on repeat! I listened her latest album. Not a fans but I love 'Hear's Content' so much.